Tom Parke, Mortgage Lender, discusses the importance of underwriting approval and why home sellers want buyers with loan approvals screened by underwriters. How do Home Sellers Know if the Buyers have Underwriting Approval? 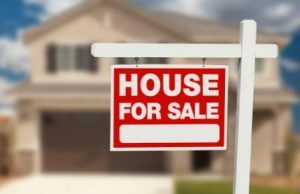 When a seller is looking to sell a home the most important thing that they should be concerned about is that the buyer that they choose to sell the home to actually has the ability to buy the home. You only want to sell a home once. When it gets into a contract you want to be sure that the buyer has the ability to purchase this home. 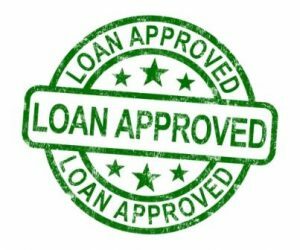 Often times another lender might not have been as thorough with a buyer’s preapproval. They might not have gotten that buyer screened by an underwriter. Or maybe they have not spoken to the buyer in six months and there has been a job change. That buyer may no longer be approved but everybody thinks the buyer is approved. Part of the service that we provide and home sellers would like to partner with a real estate agent that has a lending partner that would be willing to screen the buyers with an underwriter’s approval. When home sellers are partnering with a real estate agent to sell a home it is a great idea that the real estate agent is partnered with a lending partner that will approve and screen the buyers by an underwriter. You want the buyers to be approved by an underwriter upfront so that you have a guaranteed lending commitment. That way you know when you are selling the home to the buyers an underwriter has given the blessing that the buyers have the ability to buy this home. That the buyer that is going to purchase the home has since left their W-2 job and has switched to a 1099 job where they are an independent contractor. They moved from a salary job to an hourly job. The buyers moved from a salary job to a job that is highly commissioned. Have a lot of bonus income and they do not have a two-year history. They have switched to something where they no longer have the required reserves and assets that are needed. My point being is that loan officers will screen a buyer and look at their income, assets, debt, and credit. Humans are prone to mistakes. You’d like to work with ideally a real estate agent that has a lending partner that will get your buyers approved by an underwriter. That way, you know that the buyer has the ability to purchase the home they are buying from you, the home sellers. Whether or not they use my company to do the loan is not what is important here. We can just be the safety net. If we are able to earn the business if we are offering something more beneficial, then great! The primary role that I serve and the service that my team provides to the real estate agent is screening buyers to guarantee the home sellers that the buyers you are selling the home to have the ability to perform. Kathleen Daniels understands the importance of underwriting approval. She has worked full time as a real estate agent since January 2003. She learned very early in her real estate career that many lender approval letters were not worth the paper they were written on. No one wants to sell a house twice! That is why she enlisted the help of a trusted lender. The Tom Parke Team provides home sellers the service of screening buyers and providing underwriting approval. The service is provided at no cost and no obligation to the seller or the buyers. Home sellers have the peace of mind knowing that the buyers have been carefully screened and underwriting approved. Buyers save time, money and the disappointment of finding out after their offer is accepted, after paying for an appraisal and home inspections and after telling their family, friends, and co-workers … “We bought a house!” that deep into the process the underwriting team denied their loan. It is a win for everyone. About: The Tom Parke Mortgage Team at Mason-McDuffie Mortgage Corporation is a direct mortgage lender specializing in residential real estate finance for home purchases, refinances, lines of credit and construction renovation.